Tag No.11 * E220 2.2 CDI Avantgarde 4DR Automatic, 1 YEARS AA BREAKDOWN COVER, 42MPG, Main Dealer Sourced, Chain Driven, 9 Service Records, August 2019 MOT. 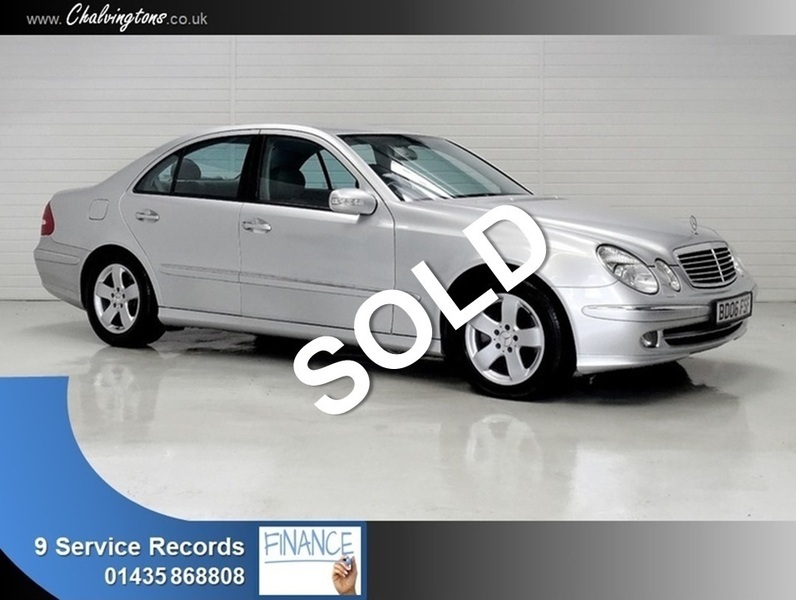 Please call or email us to book a personally appointed time for a viewing of this vehicle. We allow generous time for viewings, offering plenty of opportunity for you to look around and inspect the vehicle. Staff at Chalvingtons respect that you won't want us hovering over and pressurising you. We understand that you may wish to have your own space, but enjoy the benefit of a knowledgeable team members immediate attention when required. SECURE IT: We offer the facility to immediately secure this vehicle with a holding deposit, which is fully refundable if it's decided not to purchase upon viewing. Terms & conditions apply. Please ask a member of staff for details. DISCLAIMER: The vehicles specification is typical of its type, but some data is provided by third parties and not necessarily exact for this vehicle. Chalvingtons Sussex Ltd shall not be held responsible for third party material. Whilst every effort has been made to ensure the accuracy of information, errors do occur from time to time. As a result, specification is subject to confirmation by the customer on inspection and we kindly ask not to rely on any of the above content to make a purchasing decision. Chalvingtons Sussex Ltd accepts no liability for loss or damage resulting from errors or omission on this web site.